In fighting cholera, the international community usually favours responsive actions which have limited and short-term effectiveness. Such actions are often mobilised in responses to sudden epidemics, such as those in Yemen and Zimbabwe. 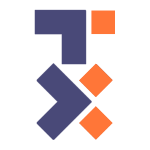 However, there is a profound lack of evidence for how longer-term interventions, which are usually harder to achieve, can be delivered effectively. New research addressing this gap is currently under way in the city of Uvira, South Kivu, DRC, to provide evidence for improving the supply of safe drinking water as a public health priority. According to the World Health Organisation (WHO), diarrhoeal diseases relating to unsafe water, sanitation and hygiene cause over 1,000 deaths a day in Africa. And, every year, cholera alone accounts for the deaths of 100,000 to 120,000 people. Yet, the debate as to what is the most efficient way to prevent and control cholera persists. Some favour a focus on rapid short-term responses, where the cost of interventions is relatively low – home chlorination/filtration kits, the distribution of small quantities of water intended exclusively for drinking, raising hygiene awareness, etc. Moreover, oral cholera vaccines (OCV) are increasingly presented as a priority. There are many new OCV studies that have attracted substantial attention; but, while the findings are generally positive, the effectiveness of these vaccines can be limited and short-lived. To date though there has been limited rigorous research to evaluate the effectiveness of investment in drinking water supply infrastructure to prevent cholera. There are two reasons behind this: on the one hand, the cholera disease burden is concentrated in low income settings, many of which are affected by political instability, where building and maintaining largescale public health infrastructure is challenging. On the other hand, public health research increasingly values experimental trials which require a random allocation of treatment and control groups. Whilst pills or awareness-raising sessions can be randomly allocated with relative ease, doing this with piped water connections presents various logistical and ethical challenges. At a time when the evidence-based policy paradigm reigns supreme (requiring that public investment decisions be founded upon high quality scientific evidence), these challenges may discourage national and international investment in preventive actions as we lack strong scientific evaluations of their effectiveness. Changes in attitude are evident. The humanitarian sector is increasingly committed to the urgency-reconstruction-development continuum. One example in DRC is the "Manifesto to Finally Eradicate Cholera in DRC" launched by the NGO, Solidarités International, in April 2018, and in posts published in such blogs as défishumanitaires. And, in late 2017, the WHO launched a new global roadmap to eliminate cholera by 2030 that calls for a global inter-sectoral response to cholera. 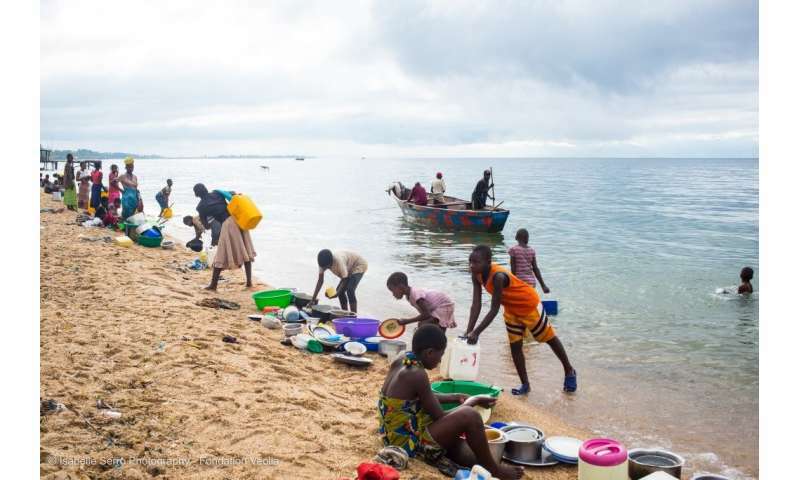 Cholera is endemic in the city of Uvira, located on the shores of Lake Tanganyika, and is often presented as one of the starting points for the epidemic outbreaks affecting this region of DRC. Supported by the French Development Agency, the Veolia Foundation, the European Union and OXFAM Great Britain, a project to rehabilitate Uvira's drinking water supply network has provided a unique opportunity to perform a rigorous health impact evaluation of this investment. 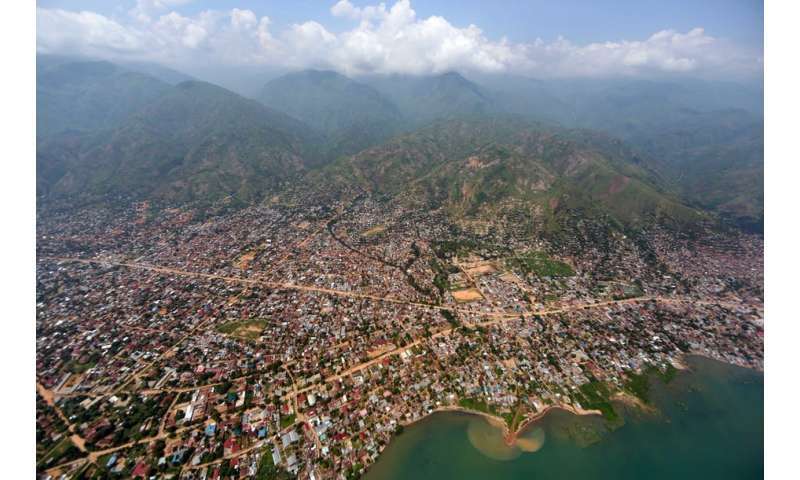 This city of 250,000 lies between a lake and mountains which surround it. Residents suffering from acute diarrhoea seek help at cholera treatment centres (CTC) managed by the general hospital. With help from the national water company (Regideso) and the Congolese Ministry of Health, the London School of Hygiene and Tropical Medicine has exploited the building works schedule for this water supply network improvement works to design a pragmatic but rigorous evaluation. The assessment relies on a "stepped wedge" trial based on the randomised rollout of the improved water supply network to understand both the impact on cholera and how behaviours change when drinking water sources are closer and run continuously. The assessment also includes a time-space analysis to measure the impact on cholera incidence, as well as a biomolecular sub-study to assess the causes of acute diarrhoea among patients attending the CTCs and to gain insights into the transmission pathways for these diseases. Initial findings have already been published in well-respected peer-reviewed scientific journals (PLOS Medicine and PLOS ONE). One article demonstrates that 23% of cholera cases in the city were caused by interruptions in water supply, and that hygiene habits in this population are diverse and directly related to both the type of water connection and continuity of service households have. Another article, used rapid diagnostic tests to confirm cholera infection among CTC patients and found that 40% of suspected cholera cases were actually positive. This finding demonstrates the high burden of other acute diarrhoeal diseases and the need for comprehensive strategies which can address both cholera and other diarrhoeal diseases. Forthcoming findings should help to assess the relative health benefits of different levels of water supply connections and improved continuity of water supply; for example, between after a shared standpipe and an individual household connection. Molecular biology will help to better understand the ways in which cholera spreads, as well as to understand the other causes of acute diarrhoea that affect this population. Unfortunately, the political situation remains volatile in DRC as a whole and in South Kivu, in particular, and security issues continue to affect the works schedule. Against such a difficult backdrop, it is important to remember that this project continues due to the determination of the women and men who, in these very challenging conditions and with limited resources, continue to collect samples, conduct surveys and work to improve the water supply infrastructure. They are to be praised for their commitment to improving public health.